The Iranian nuclear deal has broad trade implications for Eurasia. 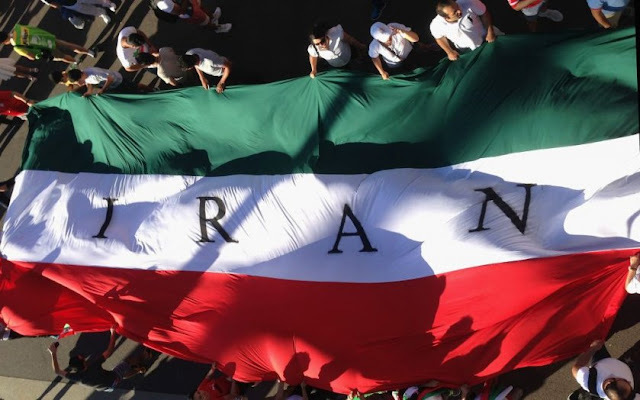 The pending lifting of sanctions would allow Iran to take advantage of its favorable geographic position, as it straddles the commercial crossroads connecting Europe, Central Asia, the Caucasus and the Middle East. If the provisions contained in the nuclear deal are implemented as envisioned, there are a number of historic and cultural factors that could spur rapid growth in Iran’s trade ties with Eurasian markets. Many Eurasian states have historic links to Iran: Azerbaijan and Armenia, for example, were controlled by Persian kings until the territories were ceded to Russia under the Treaty of Turkmenchay in 1828. Also, Afghanistan, Tajikistan and Iran share a common language – Persian, Dari and Tajik being mutually intelligible. Elsewhere, Turkey and, to a considerably lesser degree, Turkmenistan already have trade ties with Iran covering a wide range of sectors. The countries with which Iran shares a border – namely Afghanistan, Armenia, Turkey, and Turkmenistan – could see quick benefits. Trade with these countries was never completely shut down by international sanctions, but the lifting of limitations would be expected to stimulate a far more lucrative volume of commerce than is currently the case. One potential exception could be Azerbaijan, with which Iran has tense relations owing to Baku’s insistence on maintaining close ties with Israel, a sworn enemy of Tehran’s. Obviously, the Iranian energy sector would be a driving force for trade, with everything from pipelines to joint exploration deals to be pursued. Similarly, growth in the domestic tourism and aviation sectors could provide reciprocal benefits. If, for example, Iranian airlines were able to secure flights to and from European destinations, they could serve as more cost effective alternatives to Turkish Airlines and the Gulf carriers for citizens of Central Asia and the Caucasus. One of the lesser-discussed industries that could benefit directly from the nuclear deal is Iran’s banking sector. The complicated nature of Iran’s Shariah-compliant banking sector and novelties, such as being able to indirectly charge interest, is likely to deter Western banks from trying to enter the Iranian market. In addition, Gulf banks are inhibited by their respective governments’ political stance on Iran, as well as their banking sectors’ alternative interpretation of Shariah law. With such potential competitors unlikely to present a challenge, the natural partner for Iranian banks would be Turkish counterparts with which they have had longstanding relationships. Turkish banks have been among the few financial institutions willing to deal with a variety of Iranian businesses, ranging from state-owned energy companies to privately owned businesses. Maintaining these links has been central to Turkish trade policy with Iran. Despite US government efforts to pressure Turkey into ceasing all trade with Iran, Ankara reiterated in 2013 that Iranian transactions would be allowed. The entrepreneurial instincts that drive Iranian business activity have the potential to serve as a catalyst for broader growth. It is reasonable to expect that in the early stages of any post-sanctions era, Iranian entrepreneurs would be drawn to investing in countries with which they are comfortable from a linguistic or cultural perspective. Thus, they could have the same effect that the economic growth of the Gulf States have had on other Arab economies, such as Jordan, Egypt and Morocco. As has always been the case with the Middle East, fostering close and amicable relationships with neighboring countries is a difficult, albeit necessary, task. Bolstering these ties with mutually beneficial trade deals is achievable only if governments have the political will. In the case of Turkey, they clearly do. Afghanistan could also come into the fold. Turkmenistan, meanwhile, is always a question mark. An intriguing trade question concerns the members of the fledgling Eurasian Economic Union, a Russia-led group that aspires to evolve into an alternative to the European Union. While many factors would seem to encourage Armenia to explore trade opportunities with Iran, Yerevan’s membership in the EEU could restrict the ability of Armenian and Iranian entrepreneurs to do deals. The same goes for Kazakhstan and Kyrgyzstan, two Central Asian states with which Iran has had negligible volumes of trade to date. Uzbekistan is not an EEU member, but President Islam Karimov’s regime has cited concerns about radical Islam as justification for a far-reaching crackdown on individual liberties. Therefore, given the nature of Iran’s political system, an Islamic republic, Tehran and Tashkent would seem to make an awkward trade match. Russia and Iran are what may be best described as geopolitical frenemies – economic and political competitors who are capable of cooperating. Pragmatism has often guided Russian-Iranian relations, and Russian leader Vladimir Putin certainly has a pragmatic reason, namely the chill in Russian-Western relations, to curry Tehran’s favor these days. Ultimately, a year from now, discussion among geopolitical experts could be about whether Iran will join the Eurasian Economic Union, rather than about sanctions-related issues.